John Lawler president and proprietor of the Prairie du Chien and McGregor Railway Company and up to this time of his death, one of the most prominent and influential citizens of this state of Wisconsin, came to Prairie du Chien from Milwaukee in 1857, the year in which the railway was completed to the Mississippi. While never seeking wealth as the great object of his life, and while ever ready to contribute to objects of benevolence, education, and charity, the business enterprises in which he was engaged proved universally successful and placed him in the position of one of the wealthiest businessmen of the state. Although a thorough businessman, Mr. Lawler had in him at the same time considerable of the student, devoting his attention to literature and science. He was a life member of the State historical Society of Wisconsin and the American Society of civil engineers. He was one of the principal organizers of the Irish Catholic Colonization Society of the United States and remained one of its directors. He was ever a strong friend of educational enterprises. He served for some time as a member of the board of regents of the Wisconsin State University. For several years he was president of the board of education of the city of Prairie du Chien, and it was under his Presidentcy that the first public high school was erected in the city. 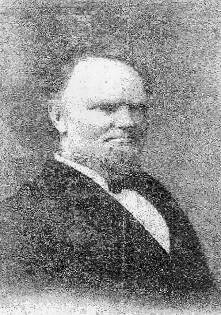 Thus by his earnest and successful efforts in behalf of the educational interests of Prairie du Chien he has deserved the warmest gratitude of his fellow citizens. Mr. Lawler was, moreover, a man of foresight in matters educational and perceiving the fundamental error of excluding moral and religious training from education, made generous and ultimently successful efforts in behalf of Catholic higher education. For while we had no record of the extent of his assistance to the Christian Brothers here, we know that it was considerable. And Campion College and St. Mary's College for girls in Prairie du Chien, two of the leading institutions of learning in Wisconsin, owe their existence largely to the generosity and strong Catholic Faith of Mr. John Lawler, their founder. In 1880, then, the Jesuits of the Buffalo mission opened the Sacred Heart College in Prairie du Chien in the building donated by Mr. Lawler for that purpose. Besides a commercial course it offered the usual classical course of high school and college classes. The opening year there were sixty-one students, of whom about twenty-five were day scholars. “In the beginning of this year a dome 7.1 feet in diameter was built on the college grounds. Here the xxxx (unreadable) and other instruments purchased the preceding year were set to task. The plan of the building has been taken from the publications of the Washburn Observatory at Madison." This same year “regular work of observing known variables” was begun and a “series of observations on suspected variables was undertaken by two observers and reduced." The results were published in the annals of Harvard College Observatory. And we read further on that, “As a further program in our work of observations, the college has this year been enrolled among the number of voluntary observers of the signal service U S A for which purpose it has been supplied with instruments from the signal office". Mr. Hagan remained at Campion for some eight or 10 years and during that time worked on many important series of observations in connection with the Washburn, Harvard and Washington observatories. Several papers embodying the results of work done under his direction appeared in the leading scientific journals of the country. Another of his professors here at this time was the Rev. Charles Frick, S.J. author of two well-known books on minor and major logic and ontology. These were published while he was president. Campion Class of '57 will be having a reunion in September of 2010. We decided at our last reunion in 2007 to begin having reunions every three years instead of five years. Keith Rothschild and Jim Bayley will be heading up the reunion which as of now will be at Lake Lawn Resort in Delavan, WI. Jim and Eileen Bayley checked it out last year and will again this September. We will try to get info to all our classmates before the end of this year. Harry Houlihan ‘46 died July 10,2008, at the Hospice Care Center in Lexington, Ky., at 80. During his career, Mr. Houlihan had managed the family business, the Houlihan Insurance Agency in Lexington, from 1949 following his father's death until his retirement in 2003. Active in the Independent Insurance Agents of Kentucky, he was named the association's Insurer of the Year in 1963 and served as state president in 1965. Mr. Houlihan had also been involved in the formation of the Kentucky Invitational Band contest and a lifelong member of Sr. Peter Catholic Church in Lexington. A veteran, he had served in the Army counterintelligence during the Korean War. Mr. Houlihan is survived by his wife, Helen; two sons and three daughters. Hoffman Hall, once the jewel of the Campion campus, has fallen on hard times. Although there is no Prairie left in Prairie du Chien, the buyer is cash strapped like most Wisconsin municipalities and may no longer operate as a public recreation Center. Starting in 1941, an increasing number of British airmen found themselves as the involuntary guests (POWs) of the Third Reich, and the Crown was casting about for ways and means to facilitate their escape. Now, obviously, one of the most helpful aids to that end was a useful and accurate map, one showing not only where stuff was, but also showing the locations of ‘safe houses’, where a POW on the lam could go for food and shelter. Paper maps had some real drawbacks: they make a lot of noise when you open and fold them, they wear out rapidly and, if they get wet, they turn into mush. Someone in MI5 (similar to the FBI in the USA ) got the idea of printing escape maps on silk. It’s durable, can be scrunched-up into tiny wads, and unfolded as many times as needed, and makes no noise whatsoever. At that time, there was only one manufacturer in Great Britain that had perfected the technology of printing on silk, and that was John Waddington Ltd. When approached by the government, the firm was only too happy to do its bit for the war effort. By pure coincidence, Waddington was also the U.K. licensee for the popular American board game, Monopoly. As it happened, ‘games and pastimes’ was a category of item qualified for insertion into ‘CARE packages’, dispatched by the International Red Cross, to prisoners of war. Under the strictest of secrecy, in a securely guarded and inaccessible old workshop on the grounds of Waddington’s, a group of sworn-to-secrecy employees began mass-producing escape maps, keyed to each region of Germany or Italy where Allied POW camps were located. (Red Cross packages were delivered to prisoners in accordance with that same regional system). When processed, these maps could be folded into such tiny dots that they would actually fit inside a Monopoly playing piece. While they were at it, the clever workmen at Waddington’s also managed to add: A playing token, containing a small magnetic compass, and a two-part metal file that could easily be screwed together. Useful amounts of genuine high-denomination German, Italian, and French currency were hidden within the piles of Monopoly money! British and American air-crews were advised, before taking off on their first mission, how to identify a ‘rigged’ Monopoly set - by means of a tiny red dot, one cleverly rigged to look like an ordinary printing glitch, located in the corner of the Free Parking square! Of the estimated 35,000 Allied POWs who successfully escaped, an estimated one-third were aided in their flight by these rigged Monopoly sets. Everyone who did so was sworn to secrecy indefinitely, since the British Government might want to use this highly successful ruse in still another, future war. The story wasn’t de-classified until 2007, when the surviving craftsmen from Waddington’s, as well as the firm itself, were finally honored in a public ceremony. It’s always good when you can play that ‘Get Out of Jail Free’ card ! His contribution to his school while he was here. COURAGE: perseverance and determination in all undertakings, especially in studies, sports, and extracurriculars. LOYALTY: to his Faith, his school, his parents, his friends. GENEROSITY: unselfishness to his school (true school spirit) as a member of teams or activities, to other students. WHOLESOMENESS: cleanness of moral life. MATURITY: of outlook, emotional control, of action. INTEGRITY: over-all character and good example. *We have no record of Tom Abbot. If anyone could supply any info (class, home address etc), great!! Modern art doesn’t often puzzle or interest me. In fact, it’s only done so once, a couple of years ago. An artist called Tracey Emin was up for an important prize against three men. But she didn’t win it. Someone called Steve McQueen did. I couldn’t understand what had happened. Surely being a woman was worth more than being Scottish, if that’s what Steve McQueen actually was? Then I saw Steve McQueen on TV and the mystery was solved. He was black. After all, in modern art there’s no question of awards being made on merit. Same in modern literature. Advances in genetics may soon make it possible to design and create an unbeatable candidate for the Booker or Pulitzer Prize, if one isn’t already available. The unbeatable candidate would be female, from an ethnic minority, born and raised overseas, and so on. That’s why I laugh whenever I hear that an artist or writer is “award-winning”. That says nothing about the quality of what they create, merely about what and who they are and whose buttocks their noses are buried between. Sadly, it has probably always been like that. Chess is the closest human beings have ever come to creating a perfectly fair competition decided purely on merit. Art and literature are too complex and too easily distorted by subjective prejudice and favor to achieve that. All the same, it’s probably true that when someone won a literary award in, say, the 1930s, it was slightly likelier to be deserved than it is today. It was no longer a question of theology, but of morals. Campion could not, like Cheney of Gloucester, affect to recognize in Cecil’s establishment the ancient Church of Augustine and Thomas à Beckett; nor could he, like Grindal, find it probable that the truth, hidden from the world for fifteen centuries, had suddenly been revealed in the last few years to a group of important Englishmen. Waugh’s prose is always clear and often lapidary: that is, suitable for carving on a monument to be read for centuries to come. Rather like, he doubtless thought at the time, the liturgy of the Church in whose honor he was writing. Campion, the Elizabethan Jesuit whose life and gory martyrdom are the subject of the book, would have recognized a Catholic service in 1935 as a direct and barely changed descendant of a Catholic service in 1575. And Waugh believed that another few centuries on a Catholic service would still be recognizable to Campion, because it would still use Latin. A dissastrous figure, provoking a … the bloody ruin of English Catholicism. That is the verdict of sober criticism, both Catholic and Protestant, and yet, as one studies that odd and compelling face which peers obliquely from Zucchero’s portrait at Stonyhurst … a doubt rises, and a hope; had he, perhaps, in those withdrawn, exalted hours before his crucifix, learned something that was hidden from the statesmen of his time and the succeeding generations of historians … that it was only through blood and hatred and derision that the faith was one day to return to England? The copy of the Summa which Campion was using at this time [his exile in Douai] survives in Manresa College, Roehampton; it is annotated in his own hand and opposite an argument on baptism by blood occurs the single mot prophète et radieux, ‘Martyrium’. Which Campion duly embraced in one of its most agonizing and unpleasant forms: hanging, drawing, and quartering before an eager crowd that included a young Catholic aristocrat called Henry Walpole, who secured a front place at Tyburn; so close that when Campion’s entrails were torn out by the butcher and thrown into the cauldron of boiling water, a spot of blood splashed on his coat. Inspired by this, Walpole became a priest himself and suffered the same death thirteen years later at York. The biography is therefore valuable not just for its prose but also for the further insights it offers in the morbid fascinations with death and its concomitants more obviously revealed in Waugh’s fiction. As history it is highly partisan and only very old-fashioned or reactionary Catholics are likely to be comfortable with its strictures and sarcasms at the expense of the Anglican Church. "...a doubly valuable book….provides, for the first time, transcriptions of fascinating literary traces of the persecuted Elizabethan Catholic community, and, equally important, it provides a richly nuanced and sympathetic account of these traces. Kilroy illuminates the desperate will to bear witness that brought these works, against all odds, into being and enabled them to survive." The death of Edmund Campion in 1581 marked a disjunction between the world of printed untruth and private, handwritten, truth in Elizabethan England. Gerard Kilroy here uncovers a fascinating network of scribal communities where Campion manuscripts circulated among a group of families dominated by Sir John Harington and Sir Thomas Tresham. His work provides startling new views about Campion's literary, historical and cultural impact in early modern England. The book lays the foundations of the first full literary assessment of Campion the scholar, the impact he had on the literature of early modern England, and the long legacy in manuscript writing. Loveable and unforgettable, Bill Roob is no longer with us. He passed on December 1st, complications of a stroke. He will be missed by his many friends and classmates from his school years at Campion. Who can forget that robust voice, singing loud and clear. Bill was a regular at the Florida reunions with daughter Deb Costello and sometimes her husband, Pat, who came along to keep Bill company. He loved those reunions and was disheartened when told “this might be the last one”. Little did we know it would be his last. Good-bye friend… sing for the angels now…. The Roob story is the work of lovely Lauretta, who is, obviously a Roob fan. As is her husband, me. Robert Senese ‘55: Sorry to hear of the death of a great friend of the past, Tommy Chevigny. Tommy and I grew up together in Gary and both decided together to attend Campion with each other. It seems we were always in trouble in our pre Campion years but playing every sport possible led us down the right path. We drifted apart after high school and have not kept up. I knew most all his siblings quite well and they were a great family. I'll remember Tommy as a great childhood friend who left me with a lot of good memories. My sympathy to his family. Paul Wilberscheid ‘56: Tom was a good to middling basketball player. He made the varsity and was a popular player. During a particular game when we were seniors Tom was on the bench through most of the game. There has been, once again, interest shown in taking a cruise on the Caribbean. It would be scheduled in the fall of this year and take the form of an all-class reunion. Before we go any further, it’s important to get a feel for how many are interested. So if you have interest in cruising the Caribbean this fall please let us know. John is in the cruise business and he tells us that he can arrange cabins for less than $400 a passenger for a 3 night trip over the bounding main!! Less expensive then many hotels!!! Be the good lord willin’ and the crik don’t rise, we will once again visit in July.